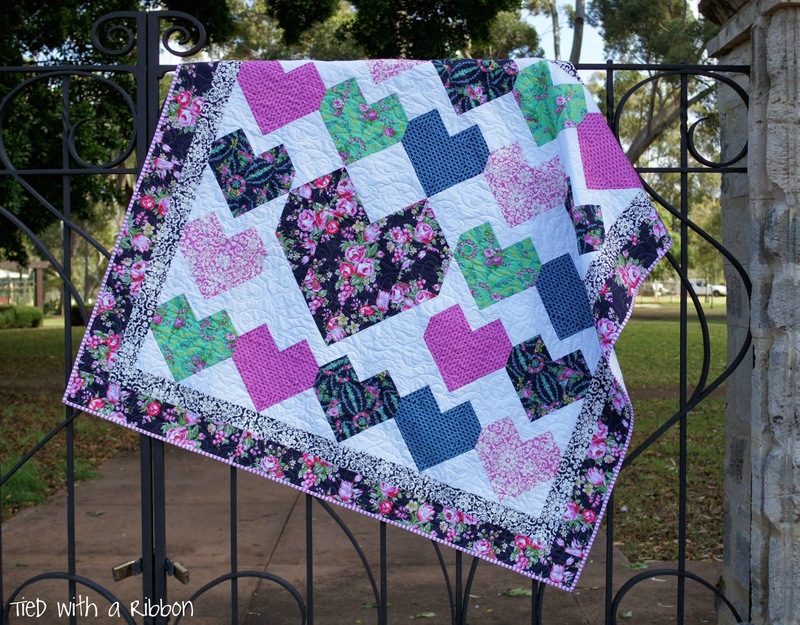 Tied with a Ribbon: New Quilts to share and make - and how they came to be! 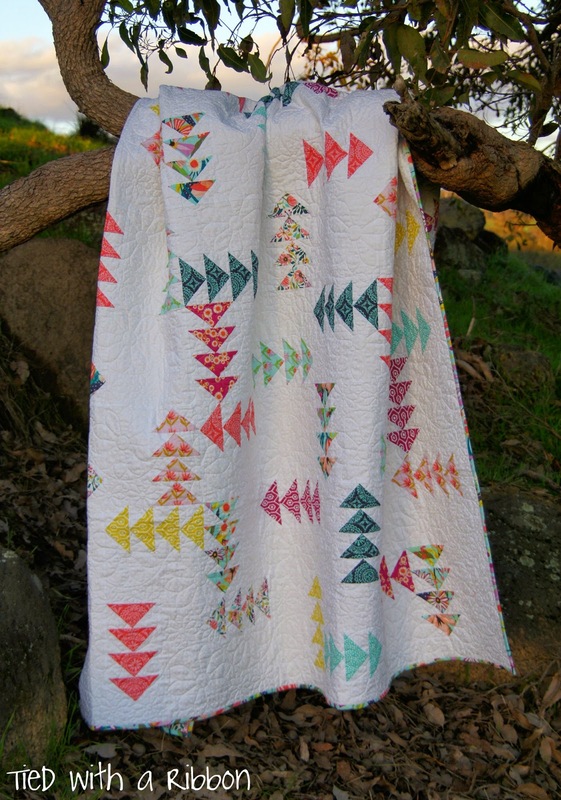 New Quilts to share and make - and how they came to be! Back today with two new quilt patterns to share with you. This beauty is called Love Letters. I made it in memory of my "Adopted Grandmother". When I was a young girl my own Nanna passed away from Cancer whom I was very close with. In fact she was the one who taught me how to crochet and sewing as a young girl. After her death her best friend then literally took me then as her own Grand daughter and Anna was such a big part of my life until a few years ago. We used to write letters to each other from when I was a child to just before she passed and it is those treasured letters that I hold very dear in my heart. This quilt was basically a "letter" to her although she is not here to hold it but for her to know that she is still so cherished. 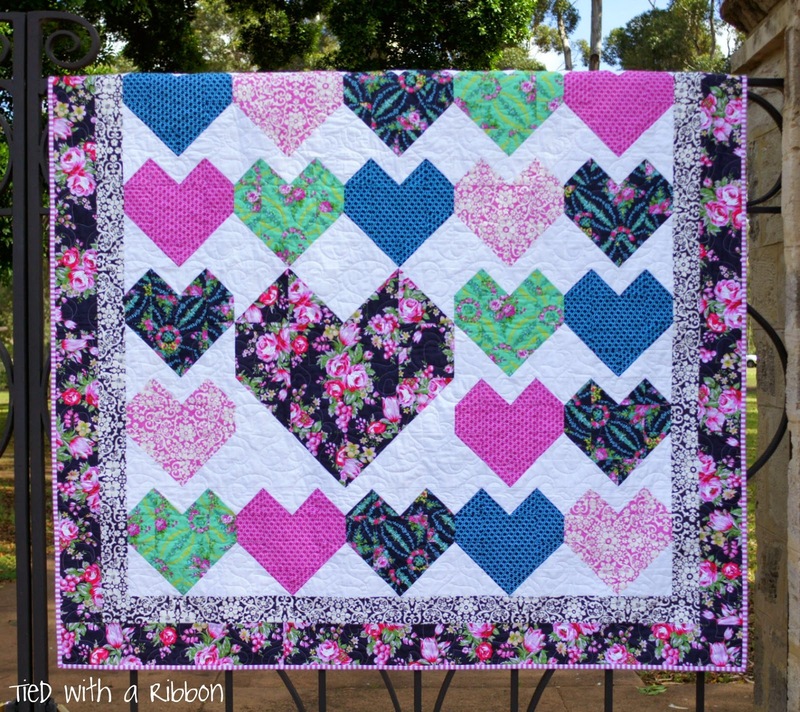 Designed to feature a range of prints such as this beautiful Beauty Queen range by Jennifer Paganelli or you could entirely make this with fabrics in your stash - it is a great quilt to feature fabrics in a bold way and make the designs in the fabric the true star (or heart) of this design. 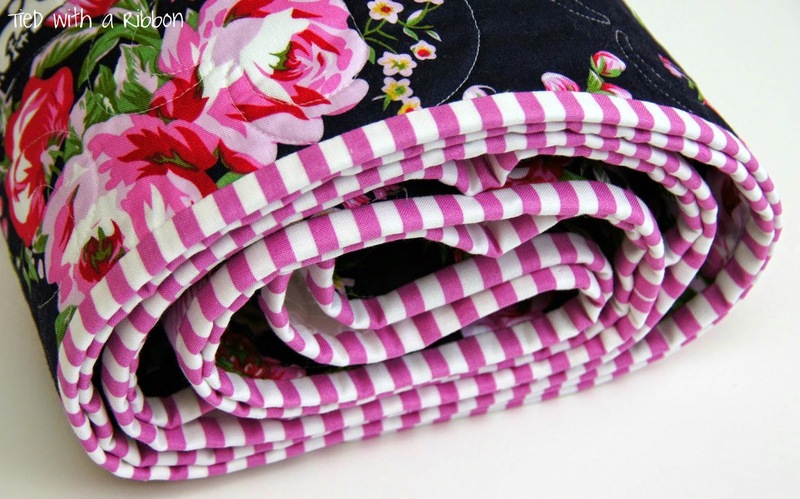 This makes a lap size but can be easily changed to make it smaller or larger as needed. The big heart is my favourite. And how can you go past stripy binding. It is a down loadable PDF pattern so you can get sewing straight away on this beauty and sew a story for yourself. Every Which Way is the quilt that I made for Homespun Magazine earlier this year - although the original one was made for my hubby in a Navy and White colour way. 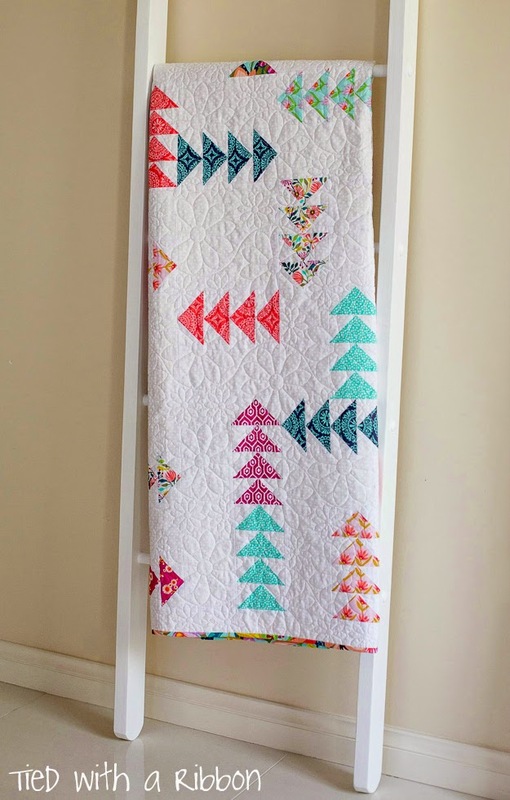 Since he has only just gotten it back and as he was so keen to start using his own quilt I decided to make a new quilt for this pattern to show how it can look so striking and effective made in a different colour way. 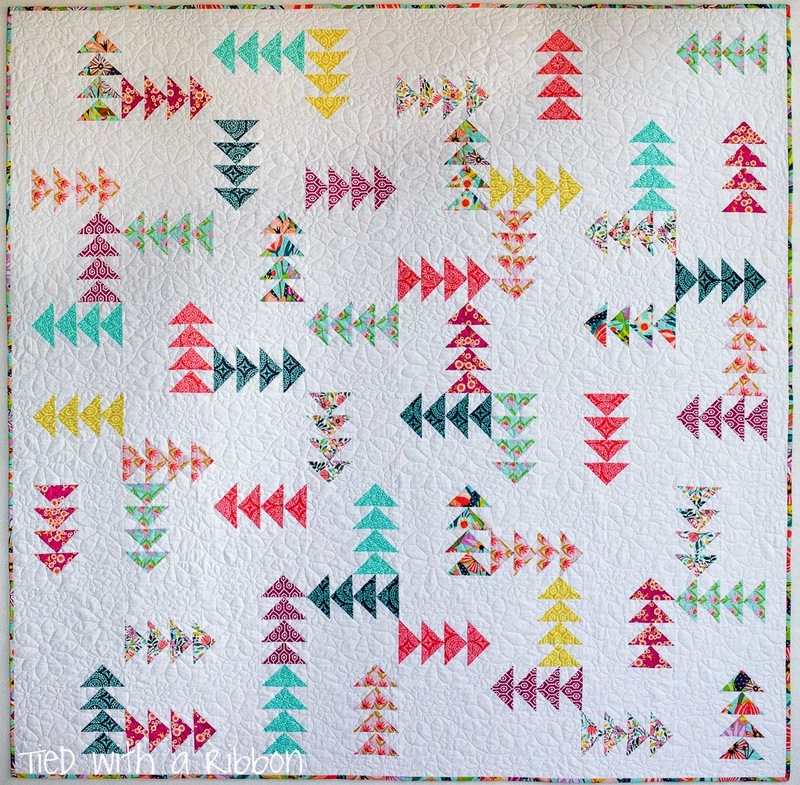 This is a modern take on the traditional Flying Geese block - let the fabrics do the talking here and you have a quilt that can be made for so many different people. 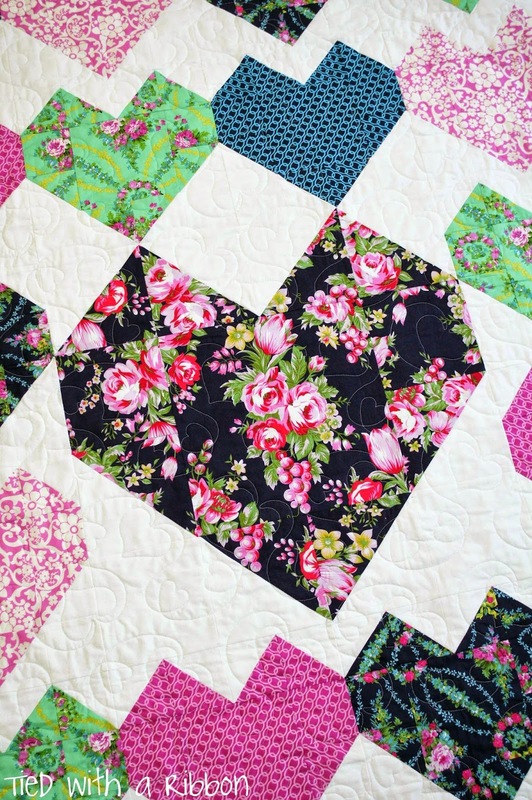 This Quilt features Garden Party Tango by Iza Pearl Design and was so fresh and bright - just how I love things. Both of these quilts were quilted by Carol from The Quilting Cottage. They are both beautiful patterns! I love adopted grandparents, we have had a few of those for our children and they are just as special as the real thing. Yes they certainly are Cassandra and thanks for your kind words about my patterns. Thanks Gnomeangel - he especially was and is not letting go.